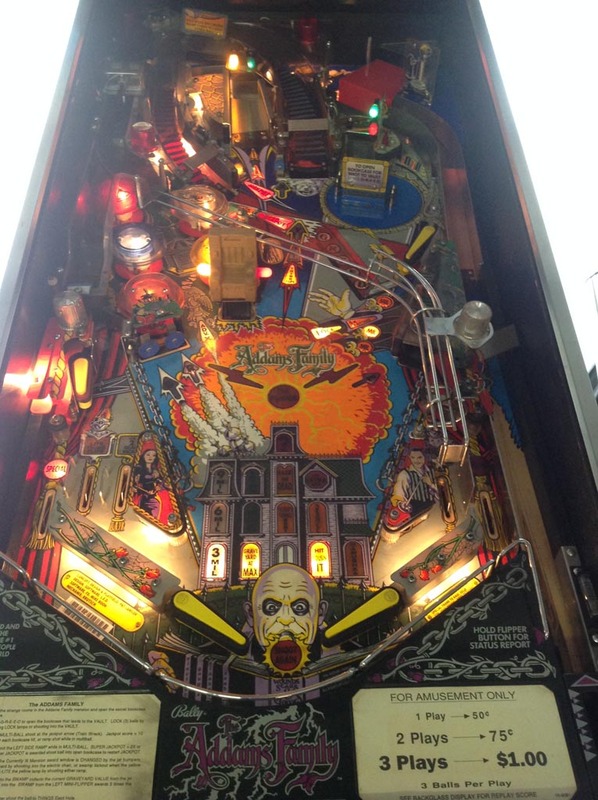 Lower left playfield magnet was unplugged because Q1 on the magnet pcb and Q44 on the driver pcb was shorted. These transistors were replaced. Upper left flipper hold was stuck on. Replaced Q5 transistor on flipper pcb. Lower left flipper hold not working. Replaced Q9 and Q17 on flipper pcb. Found missing diode on lower left flipper. Replaced all 8 diodes on all flipper coils as a preventative measure. All 4 flipper EOS switches were installed backwards and were corrected. Replaced all 4 flipper linkages. Cleaned old crusty rubber from flippers and installed new rubber. Installed slingshot rubber and shooter tip. 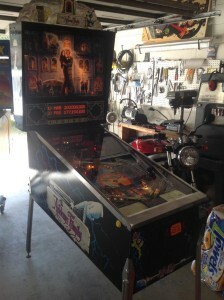 Cleaned and waxed playfield. Including Thing’s dirty hand! Replaced barrel spring on shooter rod and adjusted lane guide. Adjusted lock down bar mechanism. Replaced bridge rectifier on driver pcb that drives the flashers. Replaced power connector for DMD power input. Two hour play testing to insure reliability.